There’s a lot to be optimistic about in the Healthcare sector as 3 analysts just weighed in on Shire (NASDAQ: SHPG), Irhythm Technologies (NASDAQ: IRTC) and Agios Pharma (NASDAQ: AGIO) with bullish sentiments. In a report released yesterday, Douglas Miehm from RBC Capital reiterated a Buy rating on Shire (NASDAQ: SHPG), with a price target of $181. The company’s shares closed yesterday at $132.86, close to its 52-week low of $123.73. According to TipRanks.com, Miehm is ranked 0 out of 5 stars with an average return of -10.2% and a 35.5% success rate. 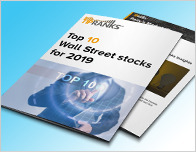 Miehm covers the Healthcare sector, focusing on stocks such as Achieve Life Sciences Inc, Novelion Therapeutics Inc, and Aurinia Pharmaceuticals. Currently, the analyst consensus on Shire is Strong Buy and the average price target is $198.57, representing a 49.5% upside. In a report released yesterday, Cantor Fitzgerald also reiterated a Buy rating on the stock with a $222 price target. RBC Capital analyst Glenn Novarro reiterated a Buy rating on Irhythm Technologies (NASDAQ: IRTC) yesterday and set a price target of $77. The company’s shares closed yesterday at $59.68. 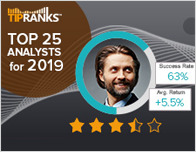 According to TipRanks.com, Novarro is a 5-star analyst with an average return of 12.2% and a 71.9% success rate. Novarro covers the Healthcare sector, focusing on stocks such as Boston Scientific Corp, Varian Medical Systems, and Zimmer Biomet Holdings. 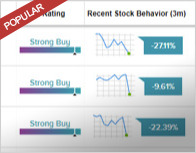 Irhythm Technologies has an analyst consensus of Moderate Buy, with a price target consensus of $72.50. RBC Capital analyst Kennen MacKay reiterated a Buy rating on Agios Pharma (NASDAQ: AGIO) yesterday and set a price target of $88. The company’s shares closed yesterday at $77.97, close to its 52-week high of $82.96. 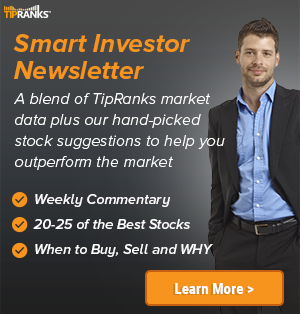 According to TipRanks.com, MacKay is a 5-star analyst with an average return of 23.4% and a 63.7% success rate. MacKay covers the Healthcare sector, focusing on stocks such as Alexion Pharmaceuticals, Five Prime Therapeutics, and Aimmune Therapeutics. Agios Pharma has an analyst consensus of Strong Buy, with a price target consensus of $89.